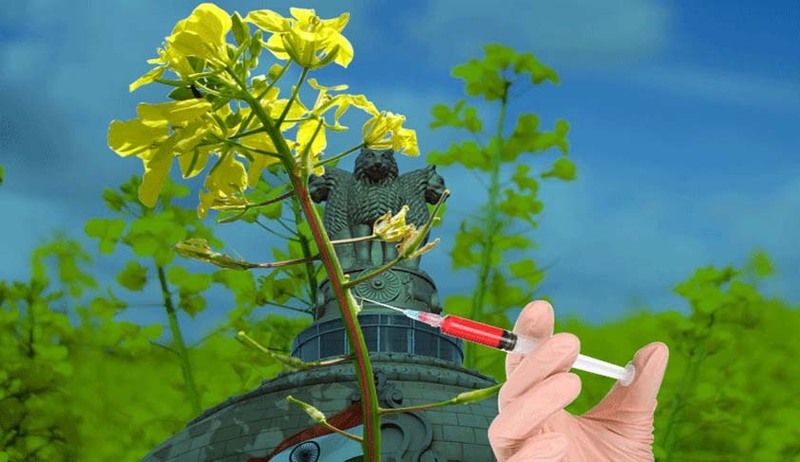 What could be India’s first transgenic food crop- genetically modified mustard will not be rolled out commercially without a stamp of approval from the Supreme Court of India. The central government agreed to this during the hearing of a public interest litigation, it vehemently opposed holding the commercial release of GM mustard. A bench of Chief Justice TS Thakur, Justices L Nageswara Rao and DY Chandrachud deferred the hearing of the case by 4 weeks. Mukul Rohatgi, Attorney General told the court that GM mustard cultivation in India will have its benefits. “About Rs 65,000 crores worth Canola oil is currently imported and this can be done away with by cultivating GM mustard,” he told the court. Canola oil is extracted from rapeseed and is supposed to be the healthiest in plant based oils for human consumption. Earlier this month, advocate Prashant Bhushan had moved the court during vacation to hear his urgent plea challenging the open field trials and commercial release of GM mustard. The court heard his plea, filed by environmentalist Aruna Rodrigues and asked the centre to hold off commercial release. Till now, all GM food cultivation efforts in India have been given negative reviews. Only GM cotton is cultivated in the country. In February 2010, a report by a committee headed by Jairam Ramesh isused an indefinite and unconditional moratorium on Bt brinjal, even as the government regulator had given its permission. The parliamentary standing committee reports in 2012 and 2013 said that there must be an inquiry into how Bt brinjal was approved and that “further research and development on transgenics in agricultural crops should be done only in strict containment and field trials should not be undertaken till the Government puts in place all regulatory, monitoring, oversight, surveillance and other structures”. Read the applications for directions here.